The world will be watching when the Opening Ceremony kicks off Friday evening in South Korea (that’s early Friday morning for those of us watching in Canada), as they always do. 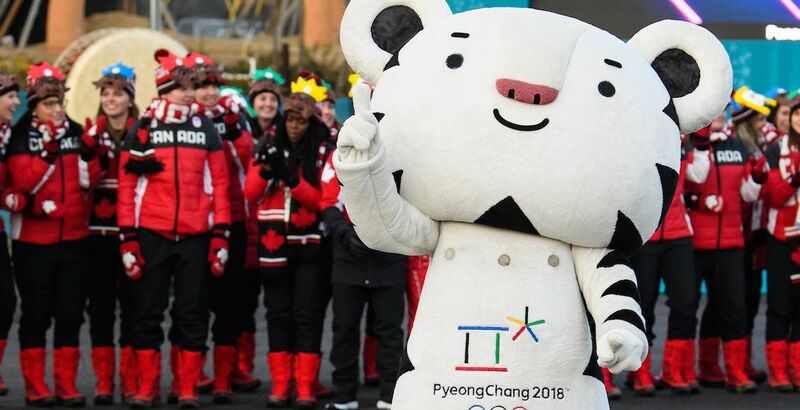 But by the time flag bearers Tessa Virtue and Scott Moir lead Team Canada into the PyeongChang Olympic Stadium, competition will have already begun. Two events begin tonight and tomorrow morning, which is tomorrow morning/evening in Korea (I’m loving the time difference already). *Note: PyeongChang is 17 hours ahead of Vancouver, 16 ahead of Calgary, and 14 ahead of Toronto/Montreal. Making its Olympic debut, mixed doubles curling kicks off the Winter Olympics, with Canada in action against Norway at 4:05 pm PT / 5:05 pm MT / 7:05 pm ET. It’ll be televised on CBC. The tandem of John Morris and Kaitlyn Lawes should be considered a medal favourite in the new Olympic sport, which is a modified/sped up version of the traditional game. Morris and Lawes will play another match against the United States later the same day in PyeongChang, airing early tomorrow morning (3 am PT / 4 am MT / 6 am ET) in Canada. Mixed doubles curling will also give us our first glimpse of the ‘Olympic Athletes from Russia’ (OAR) team that is competing under a neutral flag. They play their first match against the United States. Ski jumping also kicks off a day before the Opening Ceremony, of which Canada isn’t a medal threat. The men’s normal hill individual trial round begins at 3:15 am PT / 4:15 am MT / 6:15 am ET, with qualification scheduled for 4:30 am PT / 5:30 am MT / 7:30 am ET.